WHAT ARE CBD TOPICAL CREAMS? 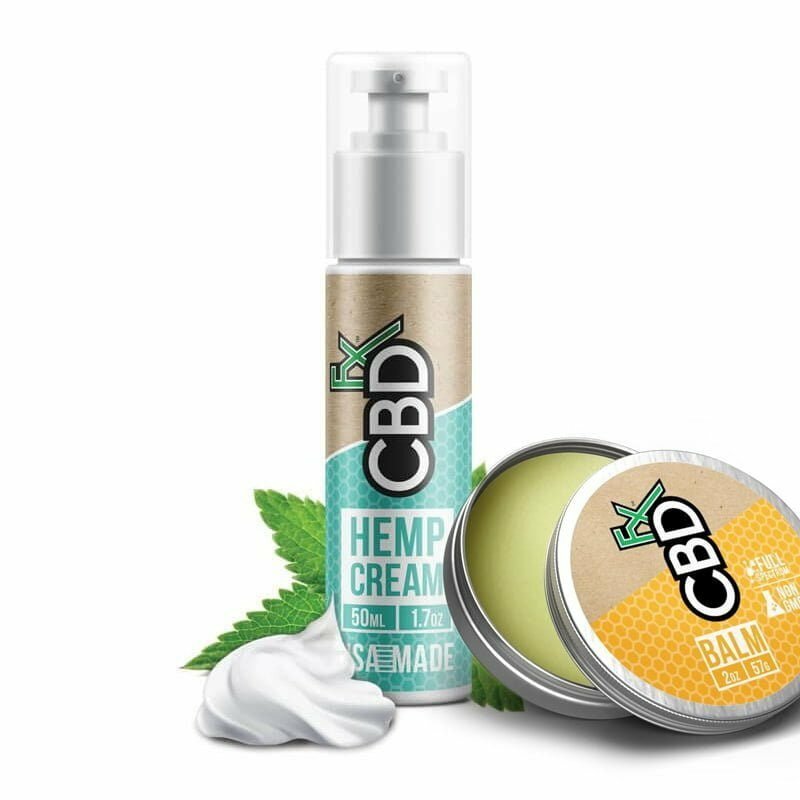 CBDfx lotions and balms let you treat your body’s pain “hot spots” with the healing benefits of CBD right where it’s needed most. 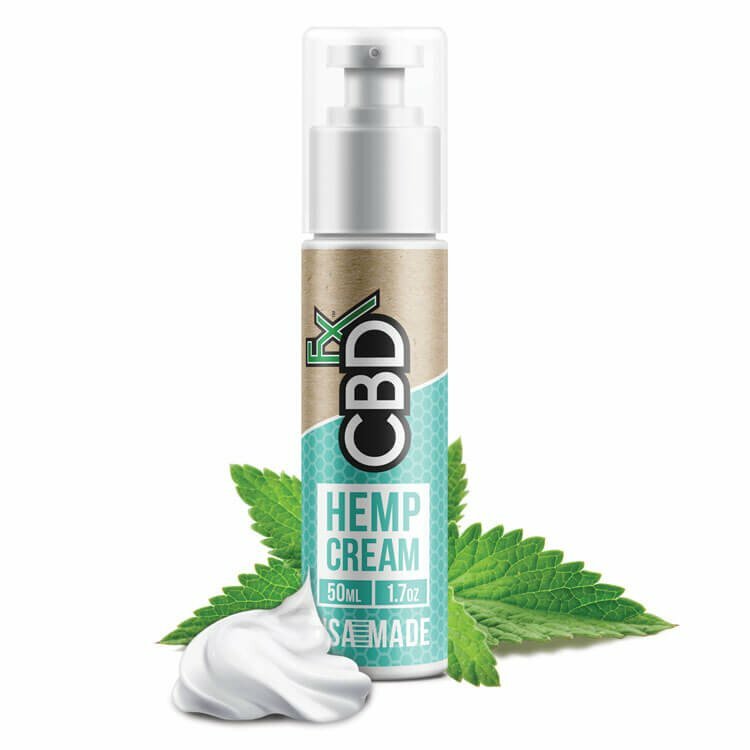 Along with CBD-rich hemp cream, CBDfx topicals are blended with other natural ingredients that have been proven to bring relief for joint pain and arthritis, psoriasis, and much more. ANY SIDE EFFECTS? CBD has been found to help reduce pain without causing any known side effects, including no psychoactive effects. WHY CBDFX? We only use CBD that’s extracted from plants grown organically at our state-of-the-art partner farms in Europe. Along with the high-quality CBD oil, our CBD topical creams are made from organic, non-GMO ingredients. The hemp cream is blended with nutrient-rich oils for your skin and healing plants such as white willow bark and peppermint. Check our labels to see how pure and natural these CBD topicals are. I’ve never tried CBD lotions or balms. What can I expect? CBD, short for cannabinoid, oil is a natural extract from the hemp plant. It activates your endocannabinoid system, which is the body’s fast-response team for inflammation, pain, and other health problems. CBD balms and lotions let you direct the healing powers of hemp oil right to the spots where it’s needed. To use CBD topicals, you simply squirt it or scoop up a little onto your fingers and gently massage it into your skin. CBDfx lotions and balms are convenient to use just about anywhere you go. They’re light and non-greasy, and made with only high-quality ingredients, so they soak in well and get to work immediately. Along with CBD hemp oil, CBDfx topicals come with other natural healing agents, including white willow bark extract and menthol from peppermint plants. Together they create a cooling affect that helps soothe your pain. “The relief is pretty long lasting,” says Sara B. And the minty “aroma is pleasant not strong,” she adds. I have pain. How much will CBD lotions and balms help? Many people today suffer from chronic pain caused by injuries, surgeries, and a wide variety of disorders. There’s hope for those who need relief but who don’t want to take powerful, potentially addictive medicine to get it. A study published in the medical journal Future of Medicinal Chemistry identified how CBD reduces painful inflammation by triggering our internal defenses. “Cannabinoids suppress inflammatory response and attenuate symptoms,” the researchers state. CBDfx lotion and balm users can attest to those findings based on their own experiences. For Jonathan G, “this lotion works great on all of my aches, joints or muscles. A much more soothing and lasting product than” other topical treatments, he says. Kimberly C. loves being able to target her pain “hot spots.” She says “I had surgery last year on both feet. I still have pain and stiffness. I put this cream on in the morning and prior to going to bed and I have hardly any foot pain by the end of the day. Do CBD lotions and balms help to relieve arthritis symptoms? About 54 million American adults have doctor-diagnosed arthritis, according to the nonprofit Arthritis Foundation (arthritis.org). Most of us likely know someone who lives with the daily pain. There are a variety of treatment options for arthritis sufferers, but none may be as simple, safe, and effective as rubbing in CBD lotions and balms right where it hurts. A team of researchers studied the impact of topical applications of CBD and published their results in the European Journal of Pain. They concluded that “transdermal cannabidiol gel application has therapeutic potential for relief of arthritic pain-related behaviours and exerts an anti-inflammation property without evident psychoactive effects.” In everyday language, that means CBD hemp oil applied to the skin can reduce arthritis pain and inflammation with no unwanted side effects. Do CBD lotions and balms help with skin problems such as psoriasis? An autoimmune condition, psoriasis shows up as a red, dry, and flaky rash on the skin, most commonly on elbows, knees, palms, feet, face, and scalp. The outbreaks are caused when the immune system isn’t functioning effectively, leading to inflammation of the top layers of skin. Derek R. uses CBDfx balm to maintain his healthy skin. “I suffer from dry lips in the fall and winter,” he says. “I decided to try the balm and it’s the best. It smells so good and it feels great on my lips. I also use some for the dry skin on my hands.” CBDfx balm contains no artificial colors or scents, and it’s gentle enough to be used just as you would with regular lip balm. (Take care to avoid contact with your eyes to prevent them from being irritated. What’s the difference between CBD lotion and CBD balm? CBD lotion is creamy and light, with natural, plant-based moisturizers that keep your skin soft and supple, while helping to relieve pain and other symptoms. With just a squirt or two of CBDfx lotion, you can treat a large area of your skin with CBD and other healing agents. You can apply it to sensitive parts of your body. And CBD lotion is easy to take with you wherever you go and to use whenever you need it. With CBDfx balm, the CBD is blended with other ingredients that soothe your skin, including shea butter, jojoba oil, rosehip oil, and tea tree oil. CBD balm has a stiffer consistency than CBD lotion, so you scoop a little out of the container with your fingertips and then massage it into your painful “hot spots.” CBD balm is a good choice if you want to treat aches and pains in your joints or other target areas with a concentrated dose of CBD. What are CBD lotions best used for? Your skin is your largest organ and it is resilient, but it also can be sensitive to internal and external disruptions. CBD creams help to clear up the symptoms of skin problems such as psoriasis, eczema, and acne, as the CBD turns on the power of your immune system to prevent future outbreaks. CBDfx lotion has a non-greasy formula, and it spreads easily and soaks in fast, so you can put it on before you get dressed in the morning. You can get even coverage applying it to large areas, such as your shoulders or legs. At the same time, CBD lotion is light enough to be used on your face, palms, around your toes, and other tender spots. What are CBD balms best for? How are these CBD lotions and balms better than other CBD topicals? People who care about the quality of the ingredients in products they use find that CBDfx CBD lotions and balms are exceptional. They’re made with full-spectrum CBD, extracted from organically grown hemp plants, so they’re free of pesticide residues and other harmful chemicals. They contain no animal gelatin—just safe, natural ingredients like beeswax, organic shea butter, and menthol. Can I use CBD lotions and balms together? You can maximize the benefits of CBD for you by using both CBD lotion and balm. Gently rub the balm into your most pain-stricken spots, such as around your joints. Spread the cream on larger areas of your body and on sensitive skin, like your face. If you are new to CBD, start by using CBD lotions and balms separately, so you can judge your reaction to them before trying them together. With any CBD topical, be sure to test it out on a small area of your skin before applying it more broadly.